Stigma is the number one enemy for better health in our country. Stigma stops people from reaching for help, and from offering support. Recovery is possible and probable and requires more than just pharmaceutical treatment. The Council of Families for Children (CFC) believes that everyone can achieve a maximum quality of life by treating the entire person – body, mind and spirit. 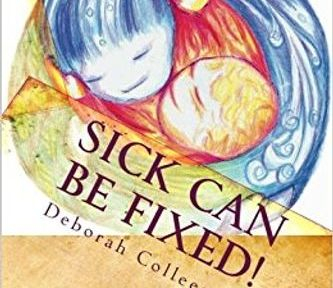 Because of this, our Education Programs are all based on this concept – “Sick Can Be Fixed”. To fully commit to this concept, CFC offers education programs for adults, teens and mental health professionals, support groups and holistic treatment plans. These services include handwriting therapy, hypnosis, biofeedback, the Listening program and coaching for all aspects of life. These services are offered to everyone on a sliding scale basis. We also have public speakers available for conferences and continuing education speaking arrangements to increase awareness, advocacy and empathy for families and children with mental health diagnosis. Sick Can Be Fixed, just ask us how we can help!!! Sick Can Be Fixed is who we are at our hearts. There is a reason for this. Watch this short video that tells our story and shares our heart! For more resources, please look at the rest of our pages! CFC's goal is to develop a world wide, whole health organization, which acts as an agent of change. We focus on the issues that prevent humans from achieving healthy, active, productive lives. We encourage and embrace alternative and integrative approaches that heal the body, mind and soul. To do this, CFC is dedicated to providing education and support, collaborating with other agencies and promoting individual projects that aid to the betterment of an individual or family life. Public awareness and sensitivity will help everyone receive appropriate services to improve their fundamental opportunities to lead healthy and productive lives. Another equally important activity is to educate lawmakers, service providers, agency personnel, other educators, and the community regarding the issues that affect the lives and opportunities of children and adolescents with health needs and emotional support and guidance. It is also vital that families be seen as experts concerning their child(ren) and not be "blamed and shamed" because of their child(ren)'s conditions or special needs and requirements. CFC promotes the parents as equal participants in the planning and treatment necessary for the child's whole health and valued for their expertise. CFC teaches families and their children to advocate for themselves, and how to take control of their own recovery program, managing the quality of care and services they receive from service providers, the medical community and the school districts and to do so with confidence. 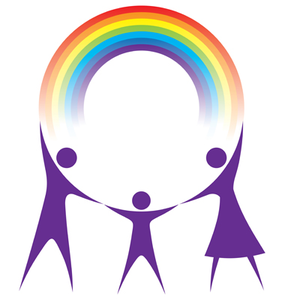 The Council of Families for Children was founded in 2005, in Austin, TX. Due to a change in grants and funding, the Council then relocated to the DFW area in 2009. Funding for a nonprofit is crucial but through volunteer efforts exclusively, CFC has not only sustained itself but has grown in services by writing curriculums for families and mental health professionals and maintaining a website that has a list of services available for families throughout the state. With the cooperation and donations of corporate America and key individuals, CFC has a new corporate home as of October, 2016. CFC is not self-funded at this time but NON-FUNDED and is exclusively run by volunteers dedicated to the idea that everyone deserves the best service possible for great mental health. While it is the hope to be fully funded by the end of 2017, in more tradition funding, CFC relies heavily on your good will and support. CFC can benefit from you, your talents, your volunteer efforts, items for the office, items that can be sold online and cash donations. If you have ever had a loved one that has lived with less than great mental health support and services, you understand how important our organization is and how much the CFC is needed. If you feel you have something you can offer, please contact our office at 972-494-3232. We offer you our very best. Click on the link and a percentage of qualifying items will be donated to the CFC and you didn't have to do a thing!!!! We are committed to improving opportunities for success for families - all kinds of families, no matter the race, color, creed or sexuality, by developing and promoting integrative service providers and educational services for the achievement of whole health. These services include the services that improve the quality of life for the body, mind or spirit, for the integration of a healthy, happy human. CFC recognizes that traditions are no longer enough to sustain families. We no longer can rely on traditional family units and therefore support and value all families, traditional and non-traditional. Because of this, it is our belief that traditional medication, education and labels no longer work. CFC is sensitive to and supportive of spiritual, cultural and societal differences within our worldwide community. 1. To develop, support and promote holistic providers dedicated to healing the mind, body and soul of all for happier, healthier human. 2. To develop a resource for integrated services and educate the families we serve and the public on the availability of alternative approaches for a greater well-being and how to use them. Visit our Your Tube Channel! Help us to help others by becoming member. It is tax deductible!!! Click on the Donate button below to either donate or to pay for a class or meetup you are attending. Just enter the amount and click, using PAYPAL. It is quick and simple!